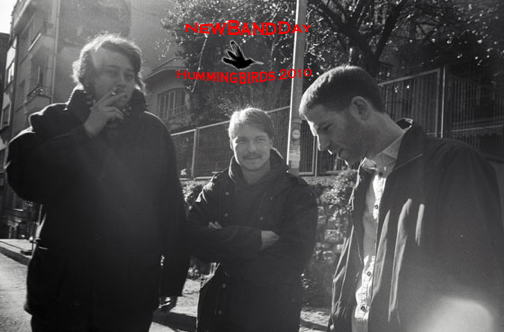 Best New Bands of 2010 Hummingbird Award: #3 The Radio Dept. They were our favorite band of 2010 mid-year. We anointed them perfect because their album was and still is perfect. It is our album of the year, but they were surpassed. It doesn’t mean that they aren’t worthy of our #1. The band was a pure concept in 1995, named after a gas station in Lund, Sweden, they disbanded soon after, then in 2009, they reformed with new members and became pure perfection. With an ode to the synth modern wave rock of the 80’s with bands like The Pet Shop Boys or The Cure, their music is tightly arranged allowing for airy simplicity in the synth. It isn’t sad or morose like the My Bloody Valentines, but relaxing and fun like The Pet Shop Boys. 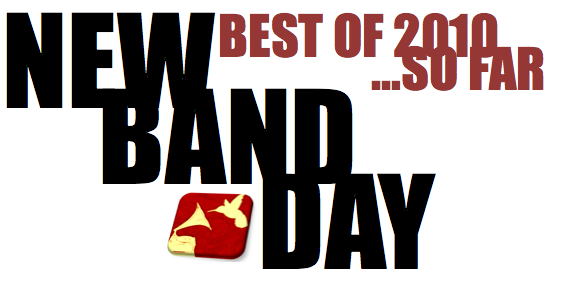 So sad they’re not #1, but there are two bands that just did it better in 2010. We love The Radio Dept. and we know they will be one of the 2010 alums that will be BIG BIG BIG!!! “Heavens on Fire” – My favorite new song since 2000. Hummingbird Award #3: The Radio Dept. Tags: #3, #3 Hummingbird Award, Daniel Tjäder, Domestic Scene, Heavens on Fire, Hummingbird, Hummingbird Award, Hummingbird Award 2010, Johan Duncanson, Lund, Malmo, Martin Carlberg, Stockholm, Sweden, The Radio Dept. With the success of Florence and The Machine, there will be a slew of new female led, drama queens hitting the scene. Unfortunately, every single one will be compared to the “Oh I wish I was Siouxsie Sioux” vocals standards. I think our team at NBD has profiled at least 60 bands that I would consider far more inventive and stylish to that of Florence. Today is definitely one of those days. “Sleep Patterns” – Simple guitars, electronic drum beats and Denise’s beautiful vocals. Okay, I’m writing this and watching Brian Wilson win the city of San Francisco their first baseball championship. Quite a night for our city. We felt it appropriate to focus on a band from a city that gave the Giants the NL West, Crocodiles of San Diego. 2008-09’s meteoric rise of the “Neon Jesus” single catapulted Charles Rowell and Brandon Welchez to almost-fame. They’re still on a tear with a sound that is a tribute to the early 80’s indie rock/electronic of Jesus and the Mary Chain, Love and Rockets and even a little Echo. In 2010 they released Sleep Forever and our good friend Bristian reminded us of our most giant band crush…with two great tracks. Love them like we do. Please let us when you get back on tour, hope everything is okay guys. “I Wanna Kill” – Love and Rockets garage synth sound. “Sleep Forever” – Jesus and the Marypranksters…love this TRACK SO MUCH!!!! I don’t care, I know they’re not a new band and I know that every blog in the world is talking about Foals, but my level of care is at 0. I love Total Life Forever and I hope that A). you already do or B). you will after this post. Frankly, I’ve been listening since 2008 and to the current album non-stop on BART and I’m feeling like this album could be the Best Album of 2010. We here at New.Band.Day have been in the music industry for a long, long time and when one of the your colleagues is taken away from this Earth at an early age, you can’t help but embrace life a little harder. It makes us even more grateful that we can listen to great music…all because of those hard working people. Foals is a SubPop band and when I heard the news that our good friend Andy Kotowicz, a staple at the label, was killed, I was devastated. It was only because of Andy that Foals has been a passion of mine. So today’s post is a tribute to our good friend and lost soldier of great music…Andy. For more information on how to help Andy’s family, please go here. If you don’t know Foals, here is the DNA…. Sound-like: A fusion of Fleet Foxes and Bloc Party but add a little Catherine Wheel and Battles. So you know we love Kristian Matsson and we’ve followed the trajectory of his career. In 2010, he’s taken off and we couldn’t be happier. 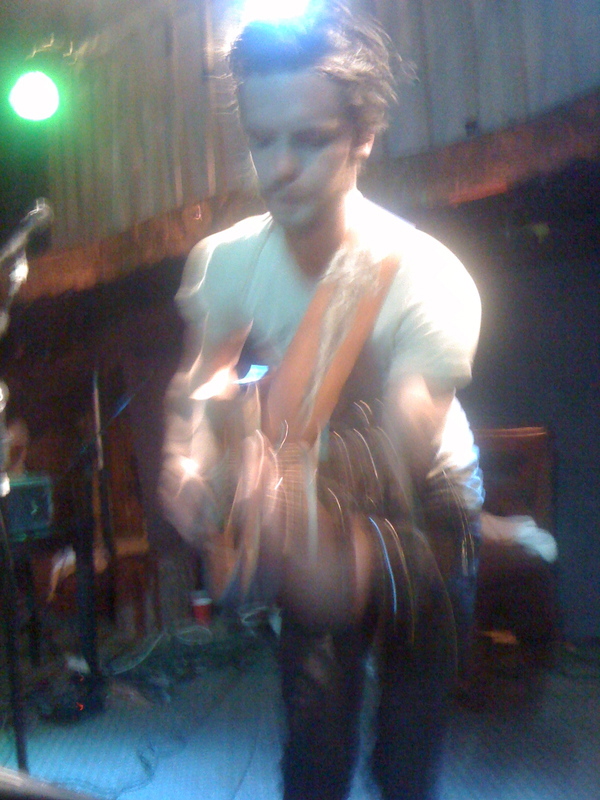 Us NBDers who’ve been following the Band of the Days since the beginning know the brilliance of The Tallest Man on Earth. We even voted him the #2 band for the first half of 2010. Well a few weeks back, he released his newest EP — Sometimes the Blues is Just a Passing Bird on iTunes. A few tracks you already know, but a few brand new ones…they’re posted below for you to hear. Also posted a bonus track for you to enjoy. “Goldskull” – You’ve heard this single by now and it’s fantastic. WIll make the NBD Top 10. It’s GREAT! “Egyptian Rose” – The second best track on the album, showing their love for 90’s Brit Indie rock…piano in tow! The band is made up of frontman-guitarist Charlie Brand, Rick Schaier on drums and vocals, Algernon Quashie on guitar, keyboard and vocals, and Alex Gerber on bass and vocals. I’ve been waiting two weeks to post the BOD story about The Jim Jones Revue. I swear the first time I heard them I thought someone ripped some vinyl from a 1965 classic that was missed by the masses. I listened again and didn’t hear any popping, I just heard something new that should have been and could have been the best rock/soul record of it’s time. So It’s now time we declare this as the best rock/soul record ever??? I don’t know if we can say that, but seriously, I love it and think you will too. Please be careful if you listen to it on headphones, be prepared for it to hurt your ears. A little background on the boys from London. The band members JIM JONES : VOCALS / GUITAR, RUPERT ORTON : GUITARS, ELLIOT MORTIMER : PIANO, GAVIN JAY : BASS, NICK JONES : DRUMS claim to be in the punk/blues vain. I really really really beg you to just listen, close your eyes and imagine being in a smokey run down bar a little north of Mobile, AL circa 1964. Really it’s the band of the month for me, blows through all of them. It’s the wailing guitar, coupled with the banging piano and Jim’s screaming and wailing at top octane. Blues guitar, slapping piano and classic 60’s soul. I hope you enjoy them as much as me. If someone gave Little Richard some rage you’d have JJR. “Cement Mixer” – Dear God, this track will rock you. The build-up is out of this world then it delivers the punch to your gut. “Hey Hey Hey Hey” – This is their best track. BY FAR! It’s so hot today. My face is melting or swelling, maybe it’s post swelling and just melting. My body hurts and my eyes won’t open. I decided to go to the pool, I jumped in, cooled off, then put on my headphones, popped them into my iPhone and put on my “Chill Brotha” playlist. First track, my forgotten band from summer 2009…WASHED OUT. Are you kidding me Ernest Greene, you are amazing. I hit a stride with the cool breeze and I released the last of the summer heat, I clicked that little oval button on the track “Feel it All Around” and had to hear it one more time. My God he’s amazing…he’s Stupid Good. My day is complete, now it’s time for a beer. In June 2009, Greene moved back home to the rural town of Perry, Georgia to record in his bedroom…nothing like conjuring up the memories of home, by moving back into it. I’m glad mom and dad let him create this time, because I am so satisfied with what he produced. It’s freeing, calming and just plain good. These two EPs were released back in late summer 2009 and he hasn’t released the Mayorship of Chillwave since. For all you Foursquarites, I don’t really care where you check-in or that you’re the mayor of your own house…cynical commentary…sorry.